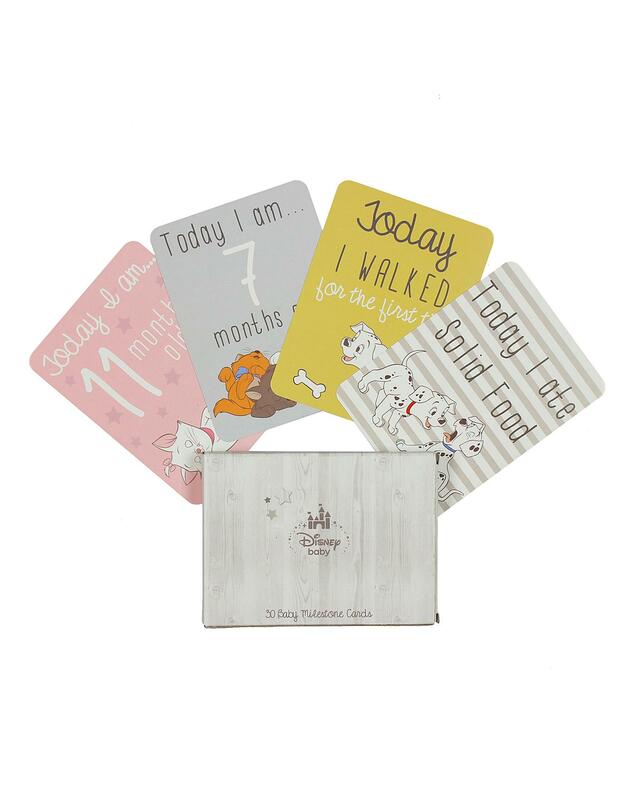 With these Disney baby milestone cards you can capture and remember magical moments as the years go by, alongside their favourite Disney characters. Cards include Today I walked for the first time and reach My 1st Christmas and My 1st Birthday. Includes 30 milestone cards. H.15 x W.11 cm approx.